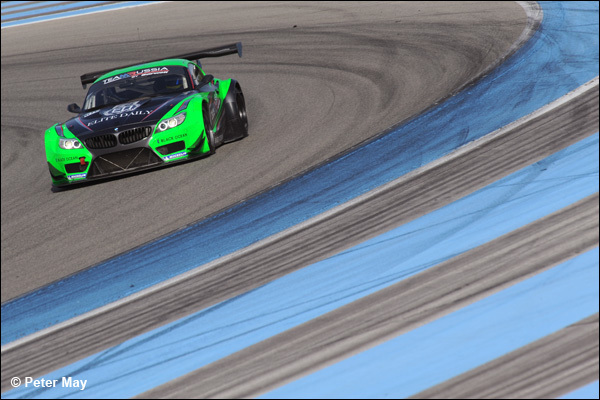 Bright, dry and slightly warmer conditions than Tuesday greeted the now 35 cars still involved in the official ELMS test at Paul Ricard today. The three hour morning session saw, just like yesterday, Christian Klien emerge fastest with a best time of 1m49.257s in the New Blood by Morand Racing Morgan-Judd. The Austrian is going to be a seriously white-hot proposition in 2014. Incidents in the session were sparse with only one red flag after 25mins of the session due to bodywork shed by the Thiriet by TDS Racing Morgan-Nissan. 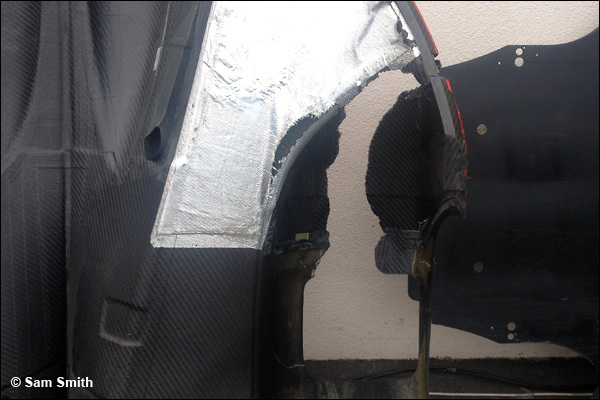 Tristan Gommendy was at the wheel when damage occurred to his right rear wheel arch after a huge ball of rubber punched its way through the rear arch. The damaged bodywork can be seen (below). The French team managed to get the car back to the pits, affect repairs and then with Gommendy again at the wheel the fastest lap of the session at that stage was set. They were finally usurped in the last hour of the test by Klien’s hot lap and a late session special by Tom Kimber-Smith in the #41 Greaves Motorsport Zytek-Nissan. The Greaves Motorsport team had differing fortunes with their brace of Nissan powered Zytek’s this morning. The #41 car set the 2nd fastest lap with newly New York-state domiciled Tom Kimber-Smith setting the time right at the death of the three hours. The #28 Greaves entry missed most of the session after gearbox repairs had to be carried out on the car. LMGTE saw the #81 Kessel Racing Ferrari 458 Italia at the top of the time sheets with Matteo Cressoni setting the benchmark of 1m56.105s in the first hour. Sadly their other Ferrari was pit-bound after an unspecified technical problem was discovered just as it was about to roll out of the pits. 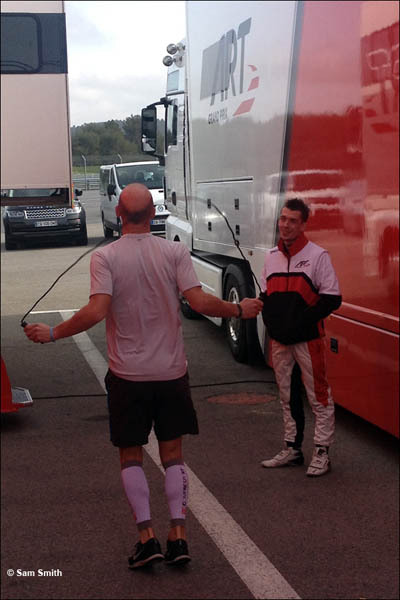 Team driver Marco Frezza could only give an elaborate latin gesticulation to DSC about when the car might appear today. 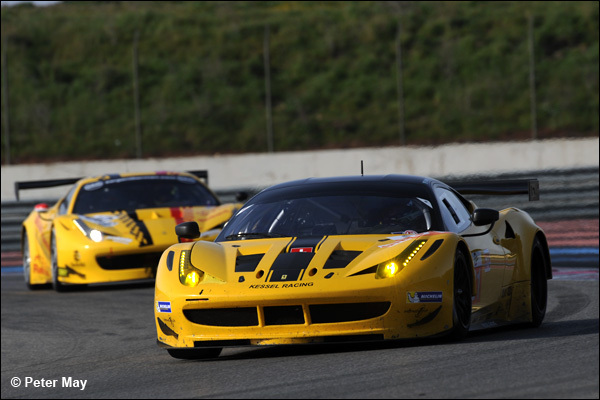 In the GTC class it was once again Russian delight as the #71 SMP Racing Ferrari 458 set the pace. Kiril Ladygin again showed his pace and potential by registering a 1m57.186s lap. Ludovic Badey did a very solid job for the Thiriet by TDS Racing team yesterday, lapping just three hundredths of a second behind the platinum ranked Tristan Gommendy. Badey’s best was 1m49.539s compared to Gommendy’s 1m49.502s. As well as Berthon’s stand-out performance yesterday, Rodolfo Gonzalez also acquitted himself very well to LMP2 and set a personal best of 1m50.058s which was 11th fastest time set all day. Adderly Fong told DSC yesterday that he was effectively testing for an as yet ‘unknown’ seat at Le Mans and the Chinese racer did a good job in the Pegasus Morgan-Nissan during his 22 lap stint, peaking at a respectable 1m50.145s. Expect to see him in an LMP2 car at the Le Mans 24 Hours in June. Olivier Pla has always been a class act and his speed and experience were invaluable to Larbre Competition on Tuesday. He set a best of 1m49.105s despite the transponder showing and attributing the time to Keiko Ihara, who got her chance at the wheel today (Wednesday) and did a solid job. Very impressive yesterday was James Littlejohn in the #28 Greaves Nissan powered Zytek. He set a best of 1m50.574s and completed 31 laps. His team mate Tony Wells also acquitted himself very well and emerged with a best time of 1m51.328s. Those LMP2 drivers that were unable to complete a lap yesterday were Pierre Ragues for Signatech Alpine after their incident earlier in the day and Nicolas Marroc who is hoping to get laps in the Sebastien Loeb Oreca-Nissan today. Alexandre Premat showed his class in the ART GP McLaren MP4-12C yesterday evening. The Frenchman peaking with a 1m58.938 to lap 0.5s faster than any of the GTC opposition. He was actually on a quicker lap which would have taken at least 0.4s off that best time but got baulked by an un-identified Ferrari. Premat also skipped off his macro-biotic breakfast between the ART GP trucks ahead of this morning’s running! In LMGTE the SMP Racing team were just a tenth of a second ahead of the #55 AF Corse with Michele Rugolo showing he is becoming one of the top Ferrari 458 drivers around now with some stunning consistency. After their respective accidents here yesterday the Prospeed and Race Performance teams packed up, with Race Performance leaving the track, while Prospeed remained to pack away and evaluate the significant damage to the front end of their Porsche. It remains to be seen what the future of the Race Performance team is now. Paddock mutterings suggest that Michel Frey was considering scaling back his racing in 2015 anyway. 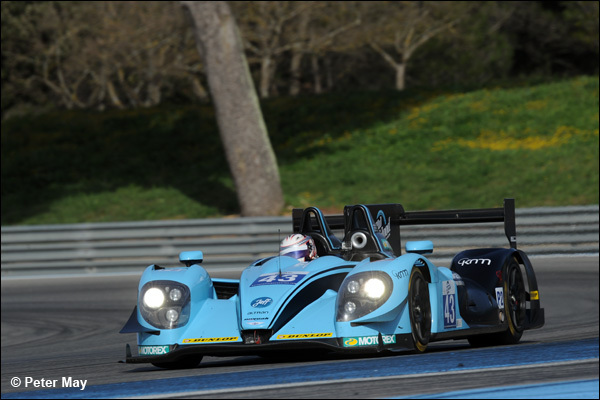 Their immediate future will be of interest to both Larbre Competition and Signatech Alpine who are first and second reserves for the 24 Hours this year. Team Russia by Barwell had a quiet but productive test at a circuit where they are expected to struggle slightly this season. Jonny Cocker though was bullish about the slickly run team and the new venture that will see it be the only BMW Z4 representative in the ELMS this season. 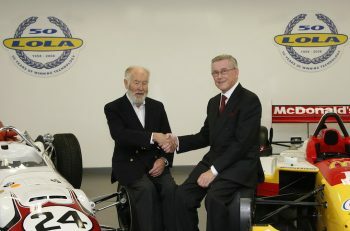 Cocker and Barwell have a long history together and the hand-in-glove approach to their racing is something that should flourish in 2014. “I’ve obviously known Leo (Machitski) for a while and have raced with him in the British GT Championship and I have great respect for the team and have a great relationship with Mark (Lemmer). “The car is great and we are making great progress with the set-up and getting everyone comfortable in the team,” continued Cocker. “Ricard will not be the best circuit for us as the straight-line speed is not quite there but we knew that before we even came here. But at the other races we will be strong for sure. “We had some good running yesterday and the tyres are performing well. This afternoon we are going to do a simulated ‘race test’ albeit slightly shortened from four hours to three obviously. 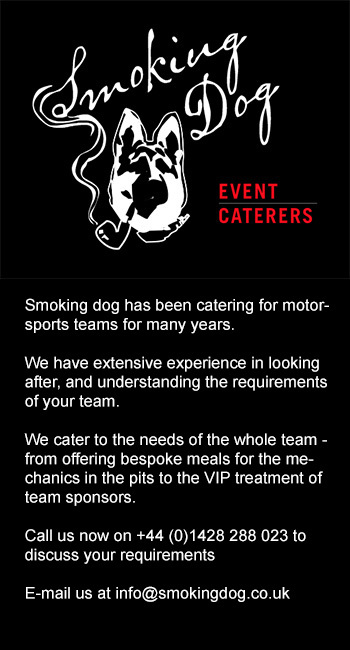 This will be to get us all up to speed with the procedures of a race and the feeling of being in the car for a long-time. 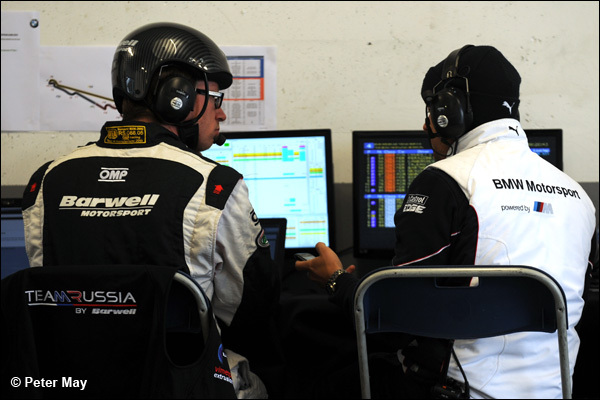 Much in evidence in the Team Russia by Barwell pit at Paul Ricard were several BMW engineers.